Following on from the hugely successful Image Sensors and Image Sensors Auto conferences in Europe and the USA, Smithers has introduced IS Auto in Asia. The inaugural event will take place in Shenzhen, China on 25-26 September 2019 and is set to be a must-attend event. As worldwide innovation in this industry advances at a faster rate than ever before, the Asian market is thriving. China’s investment in self-driving cars and adoption of novel technologies is enabling new business opportunities and encouraging a forward-thinking and autonomous future. 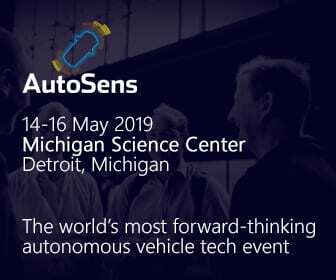 Shenzhen in particular is quickly becoming a global epicentre in the race to produce autonomous and electric vehicles so is the ideal location for the inaugural IS Auto Asia 2019. With leading technology providers based in the Asia Pacific region, this event will help to drive this innovation forward by assessing new and existing image sensors technologies, the LiDAR landscape, radars, sensor fusion, neural networks, deep learning, AI, OEM needs, data management, iamge processing and safety standards. Senior experts will come together to showcase the latest thinking and innovations, network with customers and competitors, and prepare businesses for impending change. With over 560 attendees from across the supply chain in attendance at the 2018 events, IS Auto Asia promises to provide you with the ideal place to meet and network with senior industry experts, key decision makers and fellow like-minded professionals. The event is unmissable for anyone working within this sector, so whatever your position, book your ticket now using discount code AUTOASIA19UST to join us and save 10% off your ticket!